There is a 30 year history of Elves in literature, both children's and adult, that has been kept alive by the famous illustrations of Robert W Alley. All of the authors, as well as Robert W Alley, who were initially involved in these books, are working hard to keep these elves alive. Stay posted. 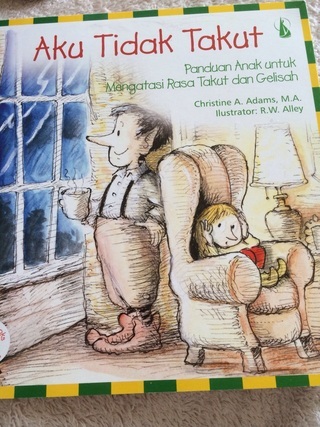 God Made Us One By One helps children define and recognize prejudice. It explains how prejudice can poison a person's mind and close it before the person really gets to know someone. We were created in God's image --each one of us, with all our differences. If we are to live in a world of harmony, our children must be shown how to live, learn,and work with others who are different. Over 500,000 sold since published- one of the best sellers at Abbey Press for 37 years. One Day at A Time Therapy helps you focus on today, to let go of painful memories of your past and your fears of the future. It encourages you to see yourself as a child , happy and loved and in control of your own life. It affirms that God is very close to you---and that God is now. Christine A. Adams has over two million pamphlets and books in print. 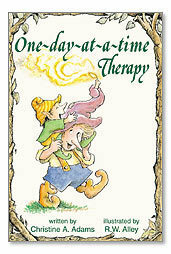 One very successful book with Abbey Press is an illustrated Elf Help Book, entitled One Day at a Time Therapy, which has sold over 500,000 copies. "Foreign Publishers can contact Christine A Adams directly at adamsbutch@comcast.net. Christine A Adams is now published in 32 Foreign Countries! England, Taiwan, Belgium, Indonesia, Brazil, Germany, Spain, Portugal, Norway, Austria, Netherlands, Denmark, South Africa, India, Sweden, Philippines, Italy, Japan, France, China, Korea, Thailand, Poland, Russia, Hungary, Vietnam, Latvia, Egypt, Slovenia, South Korea, Netherlands, and Denmark. Another of Christine's popular Elf-Help books, Gratitude Therapy (Abbey Press 1999), was also published in Germany, Portugal, Spain, Austria, Italy, China, Korea, Taiwan, France, Brazil, Austria and South Africa. 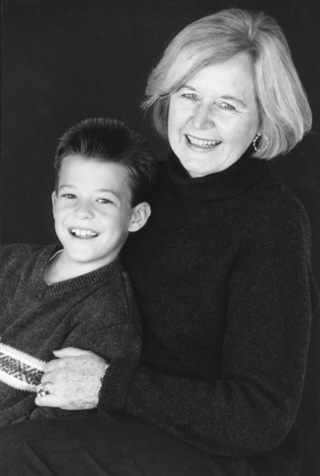 Christine, a veteran English teacher and trained counselor, started her publishing career in 1986 when she was completing a pre-doctoral program. at the University of Massachusetts. Education articles began appearing in The English Journal and other educational journals. For the next twenty years, Chris Adams continued to publish articles, pamphlets, and several books on issues of addiction, relationship, spirituality, education and grief therapy. A full length book called Living In Love: Connecting To The Power of Love Within, which speaks to the need for love and spirituality in our lives, was published by Health Communications, Inc. in 1993. Another book "Love, Infidelity and Sexual Addiction" was published and is still being sold on amazon today. Then, in 1998, Morehouse Publishing Group published a hardcover book, Holy Relationships, which describes a marriage "grounded in spirituality." Then she added four children's book to her list. In September 2001, Abbey Press published, Happy To Be Me, a children's Elf-help book about self-esteem by Christine and her husband, Robert J. Butch, who is a family therapist. Since September 2002: Happy To Be Me :A Kid's book About Self-esteem has been published in Spain, Austria, Norway, Thailand, Sweden, Brazil, Philippines, Poland and Korea etc. 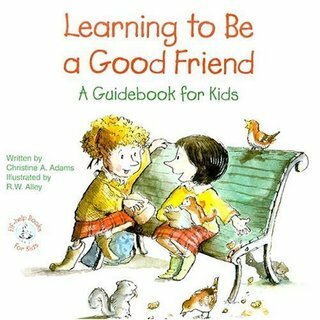 In 2004, another elf-help children's book entitled Learning To Be A Good Friend: A Kid's Guide to Friendship was published by Abbey Press. Since then this book has been published in Spain, Norway, Poland, Brazil, and Korea, China, India, Sweden etc. It has also been licensed for publication in Egypt, Russia and many other countries.. Another Kid's Elf Help book on the subject of prejudice and diversity called God Made Us One by One was published in November 2009. The School Factory (2010) is her first fictional piece about the state of our public school system. Worry, Worry Go Away was published in 2012. And September Love, a romantic novella came in 2015. ABC's of Grief: A Handbook for Survivors was published by Baywood Publishing in 2003. Originally it was published as an expensive text book for therapists. This handbook was a product of the author's own grief experience and includes materials collected over a period of three years. In 2017, the second edition of ABCS of Grief was published and is being sold on Amazon for a reasonable price. Christine writes full time and works as a consultant.